As a 501(c)3 organization, Aubin Pictures acts as a fiscal sponsor to projects that are within its project guidelines. This allows individuals without nonprofit status to apply for and receive much needed grant funds. 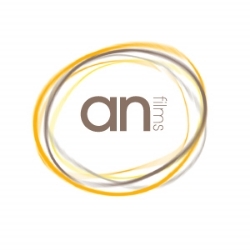 If you are interested in applying for an Aubin Pictures fiscal sponsorship, email info@aubinpictures.com. To learn more about fiscal sponsorship, visit The Foundation Center. The Federation is a coalition of artists, cultural organizations, and allies committed to keeping cultural borders open. Their public launch was on October 11, 2017 during the New York Film Festival. On January 20, 2018, they spearheaded the first-ever Art Action Day to show how #ArtUnitesUs and #CultureKeepsBordersOpen. The coalition believes in the need both to heighten our sense of shared humanity, to work for equality and justice, and to communicate visions of what our world could be. They believe in engaging audiences to secure a more democratic future. The arts must serve as a catalyst to achieve these goals. This project needs your help! Please consider making a donation to further the progress of this film. This film needs your help! Please consider making a donation to further the progress of this film. A documentary about women running for office for the first-time. 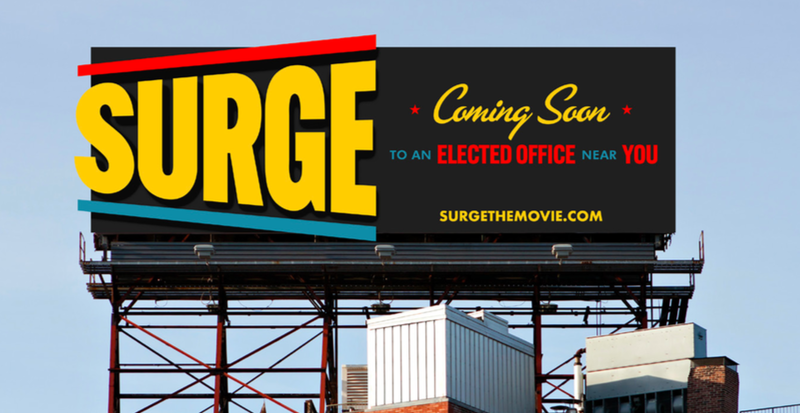 SURGE is a feature documentary about this extraordinary moment, where a record number of first-time female candidates are running for office in 2018. Tired of being ignored, angered by current government policies, and anxious about the future of America, more than 20,000 women have stepped forward and are running to win. SURGE follows several of these women from Texas, Indiana, Illinois, New Jersey and Florida on their exhaustive and exhilarating journeys to flip their districts blue on Election Day. Diverse in age, ethnicity and background, these candidates face similar uphill battles to raise money, beat incumbents and create history. SURGE explores the momentum of the #MeToo and #TimesUp movements that fueled a wave of candidates and gave a collective sense of urgency to the 2018 election. PC594 is the California penal code section that describes crimes against property —including painting beautiful images on dilapidated walls. LA street artist Lydia Emily engages in biodegradable, non-violent, political protest on government and corporate real-estate. She’s conquered innumerable challenges, but now a crippling diagnosis threatens to change everything. This feature-length documentary is directed by Libby Spears. For more than 20 years, LOT-EK has carved out a unique practice, upcycling industrial detritus as the basis for creative architecture. Cement mixers, tanker trucks, and, most recognizably, shipping containers are transformed through meticulous design into iconic retail, office, and residential spaces. critique of the underlying economic conditions of that society. The shipping container lies at the heart of each: as a fundamental building block for architecture and the object most symbolic of, and responsible for, our hyper-consumptive, globalized world. The film will intelligently weave economic, ecological and aesthetic perspectives to understand LOT-EK’s positive, engaged response as a counterpoint to fatalist laments or idealized or escapist fantasies. While looking at the larger picture of the relentless explosion of global shipping networks, the film follows the real-time construction of two of LOT-EK’s most significant projects: the sculptural assembly of 18 recycled shipping containers into Carroll House, a striking 5,000 square foot single-family home in Brooklyn; and the towering formation of Drivelines, 143 dry-docked containers transformed on-site to create a 105-unit affordable housing development in downtown Johannesburg, South Africa. With sparks flying as the containers are collected, stacked and cut on the bias with acetylene torches, UP↑CYCLE celebrates LOT-EK’s ever more refined efforts to redefine beauty, and the inexhaustible potential of the shipping container. This feature documentary will follow Piet and a number of his most important gardens across five seasons, capturing, in beautiful high-definition cinematography, all the aspects that make his designs so unique and revolutionary: painterly compositions featuring forgotten or unheralded plants; the celebration of a plant’s full life cycle including death; and the orchestration of these elements in gardens that evoke the emotional responses of being in the wild – and are, in fact, fantastically bio-diverse – but done so by meticulous design. The film will be a vital record of a profoundly important figure. 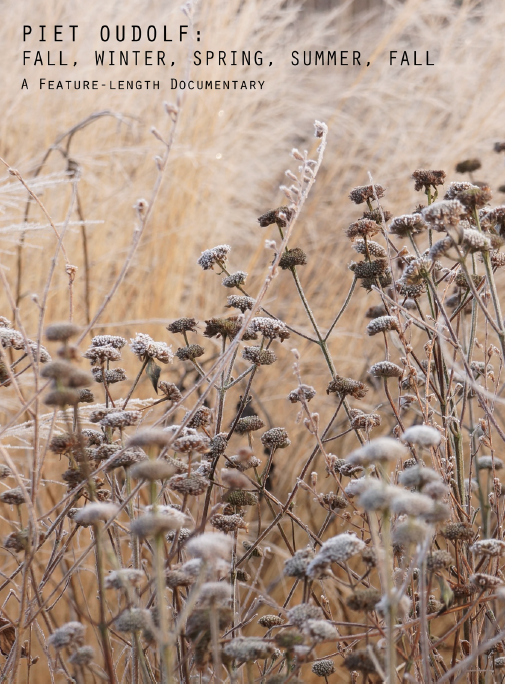 But perhaps most importantly it will be an education in the creative process, and its important ecological implications. Poetry, prose, speeches and reflections on 1975-2000 by Lani Ka'ahumanu. Rory Golden will make video short shorts on his iphone using tiny dolls as puppets. These mini movies are about dating disasters, relationship failures, awkward moments, and bad breakups and created based on input from the public. These user-generated movies will be low production value, high drama soap opera-espque, mini-vignettes that capture pivotal moments or dramatic incidents from people's lives. The videos (each under one minute) attempt a humorous take on such experiences, providing liberation from the oppression of the past and relief. A character-driven documentary that explores the joys and pitfalls of performing on the street for tips. With an inquisitive and playful spirit, the story delves deep into the lives and aspirations of a singer, a magician, and a sketch artist who regularly share their art in Charlotte, North Carolina. A singer-songwriter duo also guide the audience through an exploration of the city's busking-related laws and regulations. Many other artists, including those who participated in the Buskapalooza Street Performance Festival, also share their busking experiences and philosophies on art that reaches beyond the walls of a gallery, theatre, or concert hall. This film shows artist Rory Golden's journey as he interviews people and makes art in a rural West Virginia community in which the violent murder of a black gay man occurred several years ago. This project examines ideas about race and sexuality in our culture that condones violence. A Samudra Pictures production, produced and directed by David Conway. A one hour documentary exploring the power to change lives through Yoga, narrated by Ali McGraw. Watch here. Rancher, Farmer, Fisherman will tell the stories of five Americans representative of this movement, in a book and film to be released together in the spring of 2016.These beautiful portraits will illustrate the importance oficonic American landscapes tied together by the Mississippi River-from Montana and Kansas to Louisiana-and the natural resources that the people connected to the land are working so hard to protect and preserve. The book is being written by Miriam Horn, co-author (with EDF President Fred Krupp) of the 2008 New York Times bestseller Earth: The Sequel; the film will be produced by John Hoffman, creator of HBO's flagship documentary series (Weight of the Nation, The Alzheimer's Project, Addiction) and multiple-Emmy-winning and Academy Award-nominated director Susan Froemke (Lalee's Kin) as well as multi-Emmy-winning producer and director, Beth Aala (RADiUS'/A&E Films' Supermensch: The Legend of Shep Gordon, HBO's I Have Tourette's and An Apology to Elephants). Conceived as a soundscore/installation, artist Julie Tolentino creates a movement duet embedded with text, poetry, layered songs, geographies and genres and a list of names, including the individual names of the audience members (who are present) implicating the measure and density time through even brief, relationships. Performed with Stosh Fila, the duet utilizes personalized movement scores on, under and within this small room's red mesh ceiling, red square dense lighting and three-dimensional red floor grid, representing the ambitious nature of desire and the intimate link of exchange, spit and blood, mouth-to-mouth. www.julietolentino.com. At the turn of the last century, Charlotte, a wife and mother, walks the grounds of an expansive country estate and happens upon the beautiful Renee. Charlotte is terrified by her uncontrollable desire for the young woman and her attempts to escape lead her deep into the surrounding forest. Lost, Charlotte is forced to confront her fears and must rely on Renee to help her find her way back. 1901 is the story of one woman's courage to embrace her fantasies and follow love into an unknown future. The Effect of Tropical Light on White Men, by Catherine Lord, is a text/image work that centers on the Caribbean island of Dominica. An archive project, Tropical Light hijacks the memory books of Dr. Henry Alford Alfred Nicholls, a plantation owner, amateur botanist, physician and tireless self-promoter relegated to the margins of the British empire at the turn of the twentieth century who worked relentlessly to record the knowledge he believed he would find useful in his old age. Tropical Light obsessively retains the good doctor’s filing system, thus exposing the skeleton of colonial thought, while inserting contemporary, critical and somewhat idiosyncratic material. A film produced and directed by Gregg Bordowitz, co-produced by Catherine Gund, an hour long examination of HIV/AIDS treatment issues globally, primarily focusing on South Africa, Brazil and the generic production of pharmaceutical drugs. A film exposing three intimate experiments between a filmmaker and a mover. In the first, the Severance uses the moving frame to capture unpredictable live movement in intimate ways and re-telling. 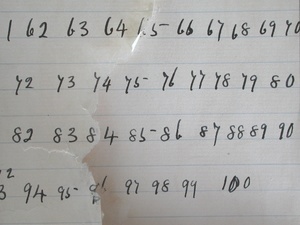 In the second section, the artists assign themselves specific parameters for the dialogue. They brainstorm verbally and visually, finding conceptual and rhythmic intersections along the edges of fact and fiction. Tolentino's simple task of moving the three dimensional body in a straight line becomes an effort of concentration under the camera's proximity and interrogation. Severance's initially stark frame contains the body for as long as possible, but eventually surrenders to join the movement. 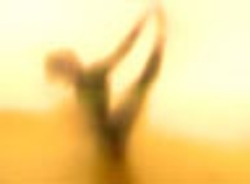 Finally, in "Evidence," the final section, Tolentino's naked, moving body is manipulated as she snakes backward on her hands and knees, balancing a cluster of Chinese medicine cups. The frame waits patiently for the promised evidence to become clear, while time and movement twitch in and out of reality- giving way to an ethereal, electric sonic path that anticipates (and dreads) the arrival of the body.www.julietolentino.com. This film captures Ivan Marko's pursuit of the artistic ideal. 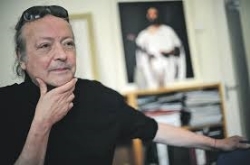 A confessional documentary, seasoned with Eastern-European irony, the film provides an inside look at the work and mind of the dedicated 62-year-old Hungarian choreographer. After spending seven years at the famous French choreographer Maurice Bejart‘s company as a principal dancer, Marko returned to Hungary to form his own troupes. He succeeded in driving them to dazzling artistic heights, while fighting for their existence financially on a daily basis. 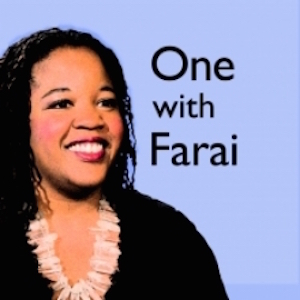 One With Farai (OWF) is a deep-dive interview podcast (think Fresh Air) hosted and executive produced by journalist Farai Chideya. Covering politics, arts, music, and technology, One with Farai covers big intellectual topics while uncovering the personal journeys of the interviewees. Chideya has an eye on the future – of globalization, genomics, fertility, LGBT rights, film and music. Her podcast also has an unusually diverse race/gender/nationality mix which reflects Chideya’s own global vision. In her first 14-episode season, Chideya spoke with innovators from MIT Media Lab’s Joi Ito (who just won the Golden Plate award, a rather glamorous international honor) to actor Delroy Lindo and former diplomat Alec Ross. Her fall season continues that tradition with guests including feminist Gloria Steinem, German political strategist Simon Vaut and playwright Scott Carter, who is the executive producer of Real Time with Bill Maher. A film by Sonia Slutsky. While drag kings have become well-known in major metropolitan areas, not everyone has been able to experience their playful explorations of gender, sexuality, and identity, not to mention their stage presence and performances. Six drag kings, Johnny Kat, Carlos Las Vegas, Christopher Noel, Ken Las Vegas, Luster, and Pat Riarch, aim to change all that, as this diverse group of performers pile into an RV for three weeks and tour 15 North American cities, through the South and Midwest. The result: interpersonal drama worthy of the best Reality TV shows, eye-opening experiences for audiences in different parts of the country and for the kings themselves, and great performances in Sonia Slutsky's wildly entertaining road movie documentary.